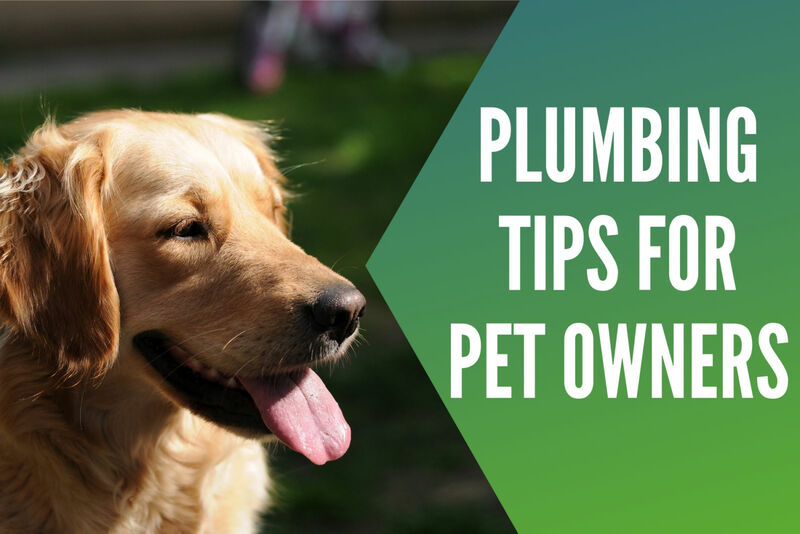 For those with furry friends at home, you might be surprised to hear that they can take a toll on your plumbing system. While these loving animals certainly are members of each family, it’s important to make sure you have the proper precautions in place. Having run into a few jobs recently that were caused by pets, we decided to put together a list of what to do if you’re a Kansas City pet owner. This is by far one of the most common plumbing failures that we see each and every day. Whenever a puppy sees something, it’s second nature to want to chew on it. Add on to it that it’s a large exposed pipe and you potentially have hours of enjoyment! On the flip side, this isn’t always too much fun for the homeowner, who can be faced with a hefty bill when the plumber shows up! While puppies love to chew on stuff, those with kittens are going to being attracted to open drains. They can easily sneak into these tight areas and then we get called to get them out! Exposed drains and pipes aren’t always the easiest to spot, but it’s important to do a routine maintenance check around the house. If it only takes 5 to 10 minutes, it’s much better to be safe than sorry! Toilets are definitely the first thing people think of when it comes to plumbing! Here the rule is going to be simple and probably something you’ve heard countless times growing up: Always close the lid on the toilet! Aside from your mom telling you to do so, it’s something that can potentially be harmful to your pets. Occasionally, when dogs get thirsty, it seems like an easy target to grab a quick drink from the toilet. Well, what may seem like a harmless action, can actually be bad due to residue from chemicals and cleaners. To safeguard against those who are infamous for always leaving the lid up, make sure your furry friend always has plenty of fresh water in his bowl! Simple enough, right?!?! With nearly every plumbing fixture, it’s critical to only use it for what it’s intended for! Just as you can’t toss anything in the garbage disposal, the same methodology holds true for the toilet. In the case of pet owners, let’s talk about cat litter! For one, it can potentially clog up your drains and force you to call us to come out to clear it. On a larger scale, not all city water treatment systems are capable of removing the various parasites found in litter. Luckily, there’s a quick and easy alternative to this issue! Simply double bag it and toss it in the outdoor trash. You won’t have to deal with the horrendous smell and you’ll be saving the environment one bag of kitty litter at a time! Do you give your furry friend a bath from time-to-time in the tub? Well, if you do, a drain strainer can certainly be your best friend and something that can save you from costly plumbing bills! Whenever you give your pet a bath, you become susceptible to hair and debris clogging up the drain and pipes. When you get enough of it stuck in there, the result isn’t always pretty! Have you ever had to tell your dog to stop digging in the yard? I’m sure at least a handful of you have! Believe it or not, but sewage lines aren’t buried as deep as you’d think. This is due to the fact that they want them to be fairly accessible to plumbers or anyone that would need to access them. A quick tip here is to just make sure they’re not digging too deep. Playing around with the mulch is one thing, but digging a large hole is completely different! The last thing you want is to have your pet hurt from digging or serious damage occurring to the pipes. At the end of the day, I’m sure you just want to make sure that your plumbing system and pets are always safe. Follow these guidelines above and you’ll surely be on the right track. If you ever need plumbing assistance in the Kansas City and surrounding areas, our team is always happy to help! For our current specials we’re offering, check out our COUPONS page.